Every year Sea View Yacht Club, home of the Seaview Mermaids charter fleet, welcomes over 2,000 guest sailors who delight in racing our fleet of 13 identical Mermaid 26-foot keelboats. The boats are of a classic ‘Solent’ design, but of modern construction and, with a selection of rig options, are ideal for highly-skilled sailors or beginners alike. Your clients, your management team or other guests will enjoy an exceptional yacht racing or cruising experience, followed by first-rate onshore hospitality. We provide the boats, the sailing race courses, necessary race officials and boatmen who ensure your sailing experience is professionally delivered. Experienced helms from Sea View Yacht Club can also act as skippers for less-experienced charterers. The clubhouse offers full catering and business meeting facilities. 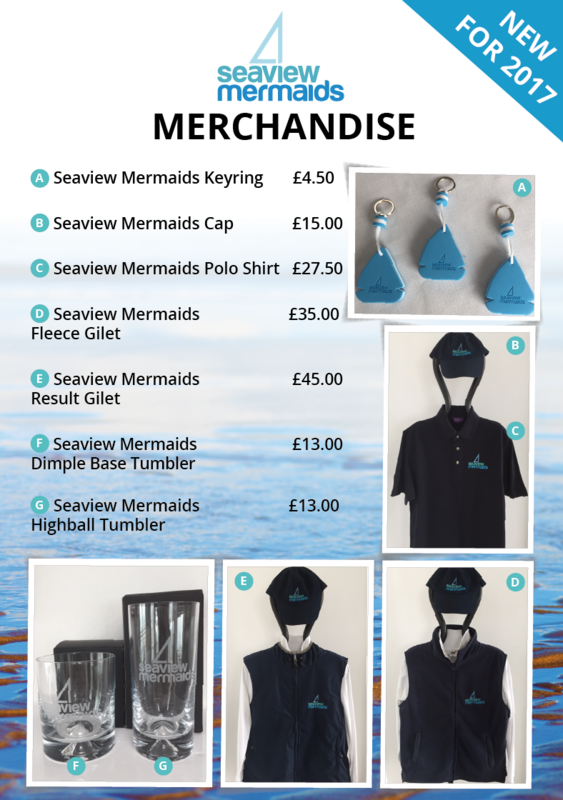 Seaview Mermaids merchandise available to buy from the Club. Click here to view the range. The best team fun on the Solent! A short note to thank you all at SVYC for another superb event with you. The feedback from everyone was a resounding “best ever”. All the teams have been badgering me to sign up for next year since the close of the event on Friday – that in itself speaks volumes. Everyone was, ever, so welcoming. You all made everyone feel at ease from the start – from experts to novices. You have a rare and precious product which is undoubtedly best in class. Please sincerely thank on our behalf Robert, Jon, Nick, all the boat boys & girls, all the bar staff, kitchen staff and race officers. Many thanks for your support and a huge thanks to everyone at Sea View Yacht Club that helped make this a really good event. Great feed back from all, for the catering and bar staff and I personally would like to thank Nick for everything he has done. Even to the point of helping stranded people out get home on Sunday. You have a hard working client centric member of staff there.